Heavy metal is now over forty years old and has developed into a diverse and multi-faceted genre. Wherever it is found and however it is played, metal's fascination with transgression has often meant it has been embroiled in controversy. Controversies surrounding the alleged connection between heavy metal and, variously, sexual promiscuity, occultism and Satanism, subliminal messages, suicide and violence have made heavy metal a target of moral panics over popular culture. Metal has variously embraced, rejected, played with and tried to ignore this controversy and it remains irrevocably marked by its controversial, transgressive tendencies. 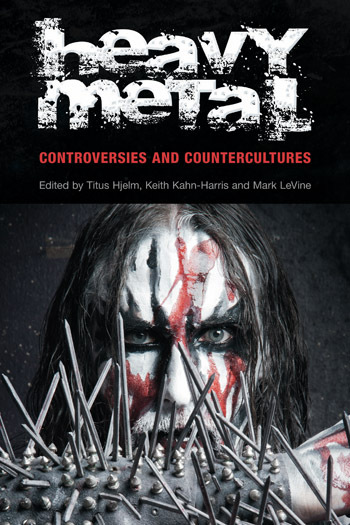 This anthology provides a thorough investigation of how and why metal becomes controversial, how metal 'scenes' are formed. It examines the relationship between metal and society, including how fans, musicians and the media create the culture of heavy metal. Offers rigorous explorations of heavy metal subcultures from leading scholars in the field. This insightful book is a superior source of in-depth research on black metal, in particular, and mainstream media and community responses to it. Also strongly represented are cross-cultural approaches to heavy metal culture, which broach difficult and relevant issues such as religious intolerance and racism in metal. Recommended. A powerful addition to the metal studies literature, this book is overflowing with insights into the cultural politics of heavy metal music. With lively writing, interdisciplinary approaches, and a global perspective, these chapters offer ideas that have broad implications for the study of popular music scenes and their dynamics, media scandals, the relationship between music and affect, and the role of culture in social life. From Christian metal to African American metal artists to the pleasures of feeling 'brutal,' Heavy Metal: Controversies and Countercultures explores a wide array of topics too often neglected in the critical study of the genre. The book is global in both the range of contributors and of its subject matter, and so joins the recent Metal Rules the Globe as proof that the field of global metal studies is in full bloom. For long-time (or fresh-faced) metal fans, there’s a lot of insightful analysis to enjoy here. The essays...are surprisingly sophisticated conceptually and theoretically, and they demonstrate what can be accomplished by turning high-culture terms and methods on a supposedly low-culture form like heavy metal. Anthropologists have profitably studied other popular culture/music practices, like the 'rave' phenomenon or psytrance events (see for example Graham St. John's Global Tribe: Technology, Spirituality, and Psytrance, reviewed elsewhere in ARD), and I look forward to reading ethnographic studies of heavy metal concerts, performers, and scenes.